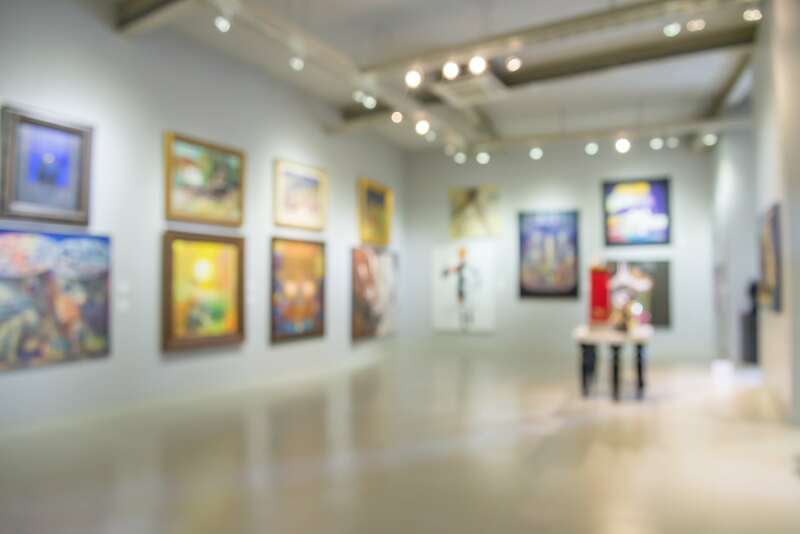 While the Smithsonian in Washington, DC is heralded for its collection of fine art and contemporary pieces, beyond the National Mall there is amazing art and culture to experience right in Montgomery County, Maryland. Browse galleries filled with local and internationally renowned artists. Enjoy music and theater performances in both intimate and amphitheater-sized settings. If there’s one thing for sure, the arts are alive and thriving in Montgomery County! Here are a few places that are sure to inspire your next visit. Just outside the Capital Beltway in Rockville, The Music Center and Mansion at Strathmore has been a beacon for performing arts since 1981. The 1,976-seat theater regularly hosts favorites like the National Philharmonic Orchestra and the Baltimore Symphony Orchestra. The Mansion at Strathmore hosts smaller, more intimate venues and private collections. Walk the elaborate Sculpture Gardens, enjoy tea in the Strathmore Tea Room, or catch a music festival on the front lawn. AMP by Strathmore is one of Montgomery County’s newest performing arts venues at Pike & Rose. AMP combines an eclectic mix of live music and seasonal culinary creations. Enjoy rock, jazz, folk, and rhythm and blues performances during a typical week. For an added bonus, the 250-seat concert hall overlooks the new Pike & Rose development in Rockville. What once was an amusement park, Glen Echo Park is now home to a community of artists, educators, dancers, and performers who share their knowledge and expertise with more than 400,000 people each year. In addition to the vintage carousel and bumper cars, the park holds weekly dances in the Spanish Ballroom—swing, salsa, classical, Cajun, balboa, and even the blues! There is never a shortage of creativity with the Adventure Theatre, Art Glass Center, Photoworks Studio, Puppet Co., and the Washington Conservatory of Music. The AFI Silver Theatre in Silver Spring is anchored in the restored 1938 Silver Theatre, creating a classic feel to the films and movies shown within its walls. AFI examines the significance of films, while showing filmmaker interviews, discussions, and other events, making the films a true centerpiece. 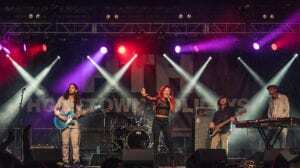 The Fillmore Silver Spring brings a dynamic, first-class music, entertainment, and community use venue to downtown Silver Spring. With a capacity of 2,000, the Fillmore offers an array of diverse live music programming. The VIP lounge, Vertigo, offers premium food and beverage and 30-minute early entry pass to the standing room only shows. BlackRock Center for the Arts in Germantown presents performances featuring top regional, national, and international touring talent from the worlds of pop, jazz, roots, rock, blues, folk, world, and classical music, as well as dance and theater for young audiences and families. The Olney Theatre operates under the Actors’ Equity Association Council of Stock Theaters (COST) contract—one of only three theatres to do so in the nation. Recent productions include Annie, My Fair Lady, and Othello. The Arts Barn in Gaithersburg is a repurposed 99-seat theater with performances and rotating art exhibits. The Artist-In-Residence studios focus on their craft and community outreach. The Sandy Spring Museum shares stories from agricultural innovation, women’s suffrage, and progressive education. The permanent exhibit illustrates local history through photographs, documents, and objects that were collected from the families of the neighborhood’s earliest residents. Maryland is one of the first states in the country to develop Arts and Entertainment Districts on a statewide basis. These districts help develop and promote community involvement, tourism, and business revitalization through tax-related incentives that attract artists, arts organizations, and other creative enterprises. 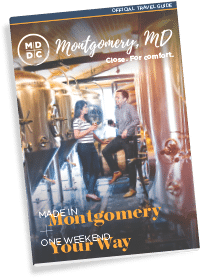 Montgomery County is home to three Arts and Entertainment Districts – Wheaton, Silver Spring, and Bethesda. Each district offers a wide range of arts and humanities organizations, popular arts venues, entertainment businesses, and more.